There’s nothing more relaxing than getting in from work, putting on your pyjamas and settling down on the sofa in front of the TV with a cup of tea. However after a few of these relaxing nights in, your sofa can quickly turn dull and grubby from the build-up of dust and sweat. Your sofa is one thing that is really difficult to clean. You’re never sure which products to use and how to go about it. There are sofa cleaning products out there, but it’s difficult to know which one is appropriate for the fabric and which one will potentially damage the material. So the best way to get your upholstery cleaned is to hire a cleaning company that specialises in upholstery cleaning services. Don’t worry- our option for upholstery cleaning in London is one of the best on the market! Fast Cleaners Ltd is a London-based cleaning company that has been providing high standard cleaning services since 2001. We started as a simple, family run business and today, we continue to grow and become one of the most recommended and trusted cleaning companies out there. Fast Cleaners Ltd works with fully trained and certified cleaners who specialise in upholstery cleaning. The company and all our workers are fully insured for your peace of mind. There’s no need to worry about any form of hidden costs. We also guarantee that your sofa and upholstery fixtures will be in safe hands as we use only safe cleaning methods, advanced equipment and eco-friendly cleaning solutions. 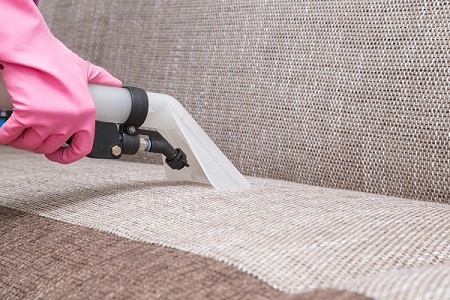 Our efficient upholstery cleaners are capable of handling fabric, upholstery, curtains and leather cleaning chores; that ranges from armchairs to large sofa sets. We charge our clients with affordable rates as we continue to stick to the best competitive cleaning prices. The company is also open to minor price alterations depending on the service booking of the client. All our cleaning workers underwent company-initiated training. This is to keep them equipped with skills and knowledge to face all sorts of cleaning challenges. We ensure that all your belongings will be handled carefully. We serve every client not just to clean their fixtures and their homes, we serve them to provide their home and fixtures with protection as well. Our company continues to aim for 100% customer satisfaction, and we try to achieve this by giving out what every client is expecting. Cleaning the armchairs and sofas in your home can be easy if you use our option for upholstery cleaning in London.Feel free to contact us at anytime on 020 3907 7263 for an over the phone booking.